The culmination of the Wainfleet Maritime College sea rescue and safety course is a session in The Box, an underwater helicopter escape simulator. The candidates are ex-navy or air force, and The Box should be an easy exercise for such experienced men. So why are the drop-outs gradually increasing in number? Men are seeing things when they’re submerged, and won’t talk about them when they come out… What is the secret of The Box? When Ian Hibbert witnesses a hoodie dumping a bin of rubbish outside his house, he decides enough is enough. He convenes a group of Darwell residents and sets out to clean up the estate, which has been falling to rack and ruin the past few years. But the Clean Up Darwell group are abused; his daughter is attacked; and finally, one of the committee members disappears. Ian discovers to his cost that someone – or something – doesn’t want him to clean up Darwell. But why? In the annals of cinema, Hammer Film Productions are a legend, most famous for producing a string of classic horror movies from the mid ’50s until the late ’70s. They brought iconic characters like Professor Quatermass, Dracula, Baron Frankenstein and the Mummy to the screen and made Peter Cushing and Christopher Lee stars. Hammer ceased film production in 1976 and after a couple of well remembered anthology TV series in the early ’80s – Hammer House of Horror (1980) and Hammer House of Mystery and Suspense (1984), the studio closed its doors. But much like their famous horror creations, they didn’t stay dead. Hammer came back from the grave in the 21st century with a string of new movies – Let Me In (2010), The Resident (2011), Wakewood (2011) and the box office smash The Woman In Black (2012). However the reborn Hammer hasn’t confined itself to making fine movies – in 2011 they launched a publishing arm, releasing new books by big names such as Jeanette Winterson and Tim Lebbon, and a series of novels that re-imagine their classic movies. Furthermore in January this year Hammer took to the stage with a new play adapting Henry James’ classic ghost story The Turn Of The Screw opening in the famous Almeida Theatre in London. 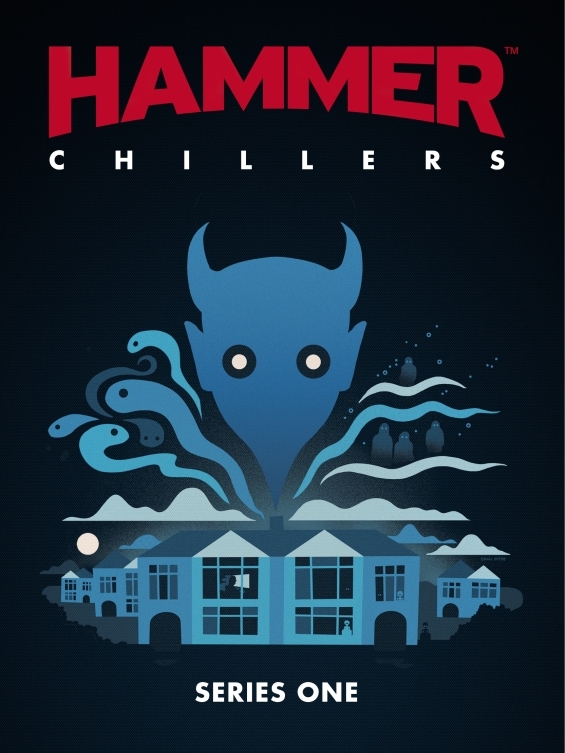 And now the legendary house of horrors is moving into the world of audio drama with the launch of Hammer Chillers, a series of 30 minute plays which are to be released as weekly downloads from the 7th June, with a complete series CD coming on July 26th. Much like their book imprint, Hammer have gathered together a fine roster for this foray into sonic terror, with established genre writers penning the scripts and plenty of familiar names from British TV and film in the casts. First out of the gate is The Box (released 7th June) starring Con O’Neill, Alex Lowe and Zoe Lister. The titular device resides at the Wainfleet Maritime College and is used in training courses to simulate an underwater helicopter escape. However this routine exercise is regularly being failed by experienced personnel, leading course instructor Sean (Con O’Neil) to suspect that all is not right within the Box. Scripted by accomplished novelist and screen writer Stephen Gallagher, The Box presents us with an eerie little mystery that pays off with a rather neat twist-in-the-tail. With a strong cast, excellent production values, and a simple but strong storyline, this is a wonderfully chilling opener for the series. It sets the bar high from the outset and rightly so to build audience loyalty with the rest of the series. However as good as The Box is, it is comparative gentle compared to the following episodes. The second episode is The Fixation, written by Mark Morris, an author who has been turning out good solid horror novels that are highly entertaining for a good few years now. And The Fixation is quintessential terror Morris-style, taking us to a small English town where something isn’t quite right. Ian Hibbert is a somewhat fussy fellow who becomes increasingly irritated by the litter and trash that is cluttering his community, and vows to clean up his local area. However there is a more sinister reason for the ever growing piles of rubbish accumulating in Darnell than the general decline of society that Hibbert is so worried about. Like much of Morris’s work, The Fixation reworks classic horror tropes into a contemporary English setting, creating intriguing and imaginative tales that reflect current society. This episode features some wonderful character work, with comic actor Miles Jupp delivering a great performance as the often petty Hibbert. However while Hibbert is in many ways a satire of an irritatingly over-zealous do-gooder, the strength of Morris’ script and Jupp’s performance, is that he and his family will have your sympathy as the horrors unfold. The Fixation is an excellent small town horror tale, chiming nicely with social issues we can relate to, but also using the medium of sound to fine creepy effect. 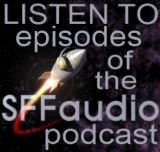 The third episode comes from Paul Magrs – another very well established author who’s written a very diverse range of books ranging from literary novels to mysteries to Doctor Who fiction. And Mr Magrs is no stranger to audio drama either having scripted several radio plays for the BBC and numerous Doctor Who audio adventures for Big Finish. And his past experience serves him well here in Spanish Ladies. It’s the twisted tale of an overbearing Mummy and her grown-up son Phil who isn’t so much still tied to her apron strings as positively ensnared in them. For the most part, it plays out like an Alan Bennett piece, all sharply observed but slightly comic dialogue, but when the truly horrible Mummy, played to perfection by Jacqueline King, discovered that not so young Phil has found some romance, you know things are going to take a turn for the worse. Now the magic of good audio drama is painting pictures with words and sounds, and the medium is used to brilliantly hideous effect in Spanish Ladies. It’s pure horror dripping out the speakers! Overall, it’s fair to say that Hammer Chillers certainly hit the mark and the production company Bafflegab have excelled themselves. They’ve delivered some top notch radio horror here. And aside from the quality scripts and performances, where this series really excels is the fact that they use the medium of sound so well in the stories, truly and fully embracing the audio medium to deliver the chills. Speaking as some one whose listened to a lot of horror radio past and present, with these first three episodes Hammer Chillers are well on the way to establishing themselves as a modern classic of audio horror.